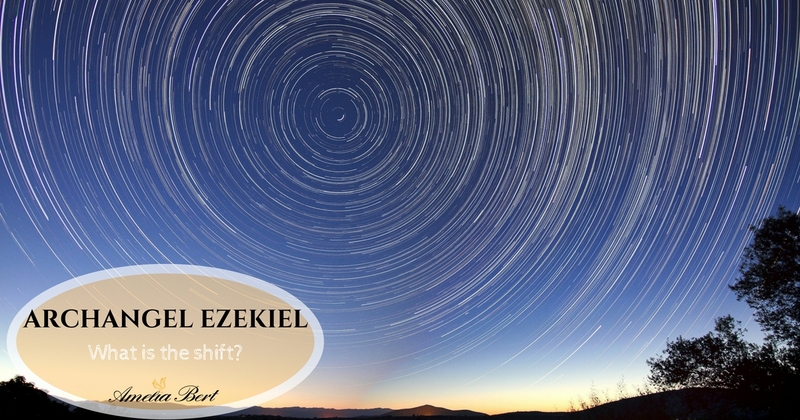 ARCHANGEL EZEKIEL CHANNELING: What is the shift? There is power in the words you are about to read. As the mind is clear, the heart is open and divine frequencies flow effortlessly forward, for anyone who is ready to know. The moment you are reading this is not a coincidence. Indeed you have been guided here to know the potential of the version of you that exists beyond the veil of the ego. This perfect version that makes your essence is filled with power, potential, skills, knowledge, loving frequency. Indeed, as the veil is lifted, you will come to re-discover this version of you now, in the physical. It is with great joy that we’ve come forward to discuss with you what lies beyond the veil of illusion, beyond this 3rd dimensional ego that you have come to know up until this point. We’re alerting you now that this is not who you truly are. All you’ve known while in physical form, all that was created by experiences of yourself or others, by beliefs, by the history of what was and it is no longer. To help you understand the reason of this veil, we briefly guide you in a tour back in time. Once earth was created, it existed in high frequencies and all the beings that resided within, physical and non-physical were indeed more connected to their truth, to all that is. As you began to explore the world, your physical perspective, you noticed more and more of what was outside of yourself. You pondered upon what was tangible and gave not the same attention to your spirit. As your physical world expanded, as the life on earth flourished, you focused on the senses. You were indeed thrilled to discover the sight of the senses that was very new to you. And then, along with your senses, you discovered the world, the animals, and other species. You discovered the emotions, danger, pain, fear and other emotions that were so intense that made you run away from them. You began building walls to escape, you kept away what made you feel threatened, fearful. And with that, you spend more time worrying about what was happening outside of you, that you forgot to go within. You lost your inner connection; you made the choice of trusting the ego, the senses, and the mind that believed more and more only of what was there in physical form. And so the further away you moved from your spirit, the more the veil of illusion, the veil of the loss of your true self was evident. The collective world as you know it now was built and carried on for eons. One after another you forget your true spirit side, as soon as the world abounds you takes effect. The beliefs of your mother, your father, your neighbor, your teacher, your generation, your race, your country, your government; Everyone helped in building walls, in carrying the belief that kept you from your true spirit. The more you observed the world, the more those beliefs of the collective were carried through and still do. Alas those dearest one, are the same beliefs that keep you from your spirit, from your true identity, from your skills, from your light, away from us. And so, as the same veil kept carrying on and on, the collective consciousness of the ego, of pain, of fear was very evident, existed and was carried forward. With your conscious or unconscious believing of those ideals, with continuing to focus on the physical, you forget of the spirit. And so, similarly earth was going to continue expanding the false ideals that kept you from the light. A rise was needed, but you always have the choice. 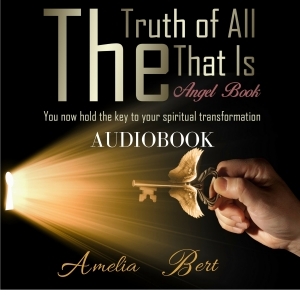 while you do have free will to believe as you please, to learn as you decide, you can contintue carrying on with the belieefs of the illution, of the separation of mind, body and spirit or you can allow yourself to remove all the false and rejoince in the new light. A broader collective essence takes a huge step in helping you all to align with your true divinity once again. The more of you remember your true light, the more you return to love, away from fear, the more the energy of earth expands. The heavy dense energy that made up of this world for eons finally becomes lifted. It all starts with you, you see. You have made a very powerful decision once you decided to incarnate on earth at this time. You boldly stepped forward willingly to help earth remove the veil and return to love. And for that, you knew that it was going to be challenging, but the great power within you knew that you will find the way. And so, as you are reading this now, we come forward to remind you of this great power that you hold within. We are speaking these words to remind you of the great version of yourself that you are moving into. It is not lost, and it is not new. It is only becoming re-discovered as you are in physical form. It is a great celebration that occurs now, as this powerful shift that is happening, has not happened before on earth, to the collective. It did occur to few, only a few while in physical form. Some you know, others you don’t, yet they were all expanded and thrived while in the physical, by re-connecting with their spirit. Truly mind, body and spirit were one, and walked on earth, and enjoyed all the senses, all the skills, but had the great gifts of the spirit. Those few you might know of are: Jesus or Yeshua, Buddha, many saints such as Saint Germain and many others. They opened the collective getaway that allows us to come through to help you carry your light and help you rediscover your true identity. So what are those gifts that this shift will bring, you might ask us? and for that, we describe only a few, as the plethora of the skills, gifts, emotions and experiences that you receive once you unite body mind and spirit are tremendous, and unique for each one. One of the greater gifts of the shift is the present; Allowing you to have experiences, circumstances situations that you couldn’t manifest easily before. Your manifestation skills will be grand, similar to Jesus who wished and prayed for the food to feed the masses, and so the baskets were constantly full. Think, believe and you shall receive, but for this, great attention is required and great control of your focus and energy must be achieved. Parts of this shift are to help you understand this and teach you the valuable lessons to help you tune into your attention more regularly. You will experience enhanced senses that go beyond the physical experiences. Hearing sounds that are not there in physical or that are not there for miles. Seeing with closed eyes situations, events or people; knowing information that has not been said to you before. Sensing events before they arrive, having the guidance and insight that you need at any time to help you through anything you want to accomplish. The list goes on. The way you experience the world is no longer the same. Where you were focused on fear, now your attention is turned towards love and service. No longer you hate, or strive or fear. Now you love and enjoy and rejoice. Your life gains more meaning, it is full of purpose. You are very well aware of the collective and you feel connected to all. All you do, you do with love, and in aid for the whole collective, that is part of you. Words no need to be spoken as regularly, as the great insight you have within already knows words before they are said. Tyranny, misery, disease fade away as they were part of this collective veil that re-generated through feelings of fear. Now there is more purity, well-being, and love. People are more in tune with their own self-worth and love themselves, their neighbors and all species that exist on earth. No longer you will be so afraid of death, as you understand that it is only the beginning. So many words used to speak something so beautiful, so pure that is in the means of becoming now. The veil shifts and you are called forth to assist as you turn away from fear, negativity, and hate and respond with love and kindness. There is a great flow of light now evident to many, in earth’s sphere and to its density that is being cleared of the layers of the old collective. For this, you might experience fear, stress occasional displeasure but know it is as the old falls away. Pause, go within, breathe, feel your connection with us, your connection with all. Simply be. No words, no thoughts, no fear, only you and us. Go inwards now and we’ll help you experience profound inner peace. Count 1 -2 -3. Close your eyes. Pause. Breathe. Be. Feel the light we emit, feel the light all around earth, connect with it, experience it. Be in this moment, welcoming the light of the shift for as long as you need. That is all that is needed for you to do right now. Return to this state regularly. Can you feel it? You are expanding, you are reconnecting to your spirit, to us, to all that you truly are. We welcome you now. 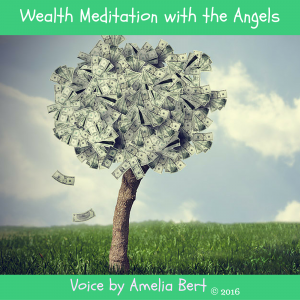 Are you interested in more content from the Angels? HereCheck out this book.